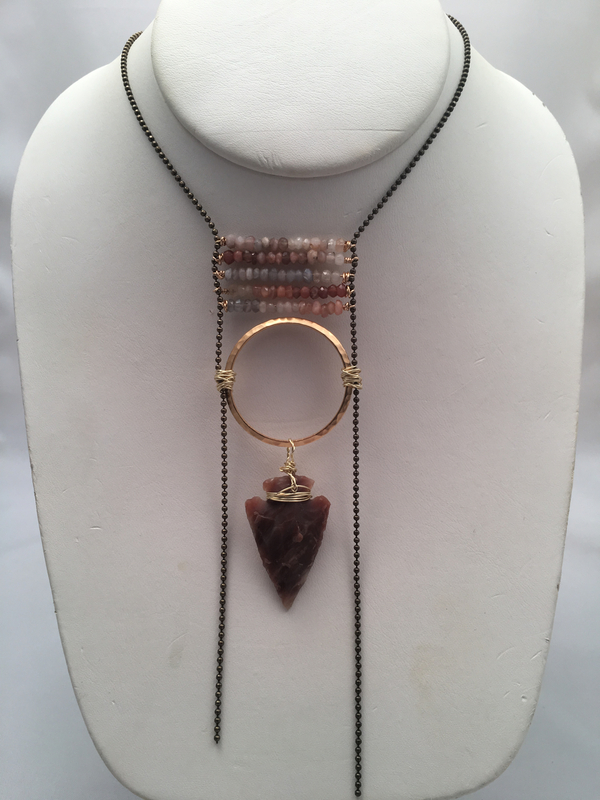 This gorgeous earth tone necklace has five luminous rows of faceted multicolored moonstone over a golden brass hoop and stone arrowhead. 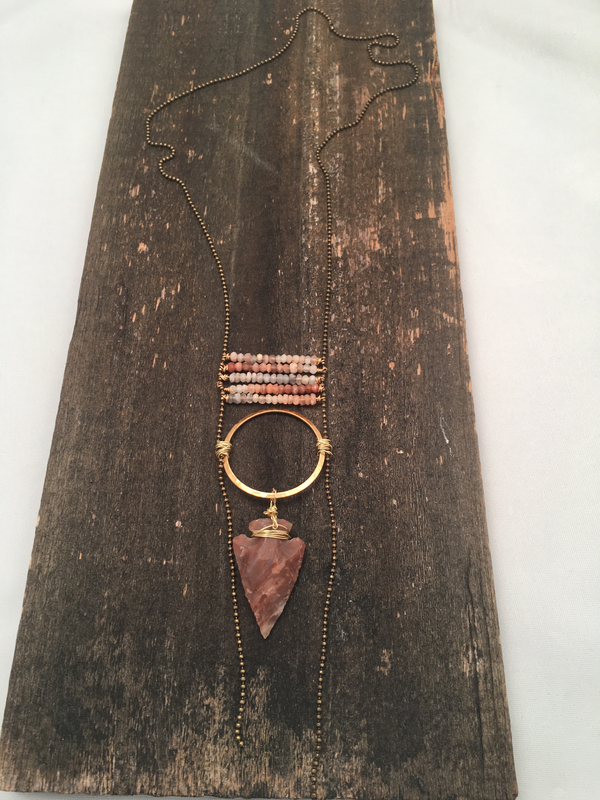 It hangs on tiny brass ball chain with a lamp pull clasp. This is a great piece that shows that neutral doesn't mean boring! 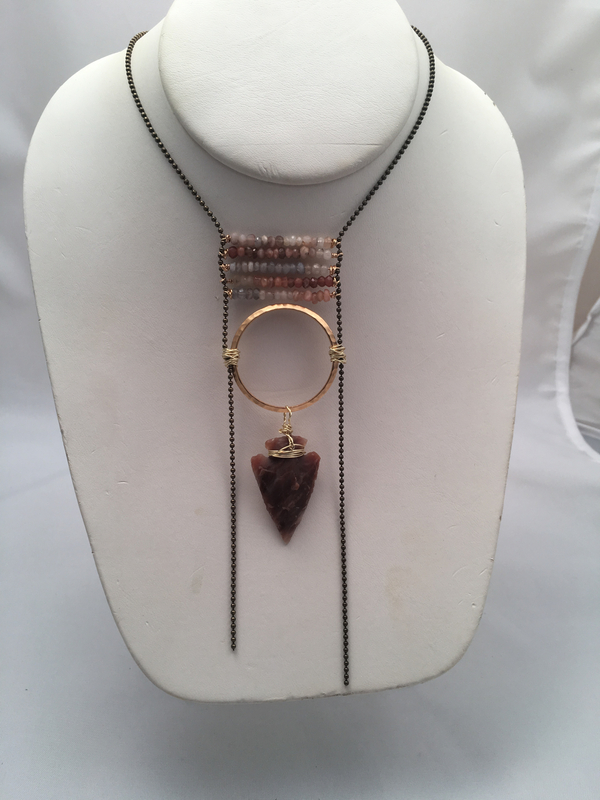 It measures 21 1/2 inches around with about 4 inches of the moonstones, arrowhead and hoop hanging down after that.